Where are the best beach house rentals in Massachusetts? Gloucester, Rockport and Essex! Oceanfront homes for rent, Beachfront condos, waterfront apartments. A private cottage on the beach - better than a hotel. Historic family travel, fun things to do, specials, discounts and deals. Lowest prices! Book with no service fees. Take a vacation in Massachusetts and explore the dramatic headlands and coastal waters that have inspired some of the greatest minds of the last century! Learn more here! Take a vacation in Massachusetts and explore the dramatic headlands and coastal waters that have inspired some of the greatest minds of the last century! 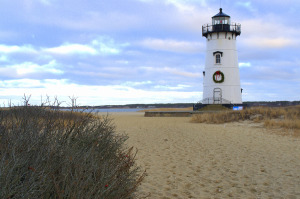 Massachusetts is a great destination for a relaxing rental vacation by the sea. Whether you're visiting the historic Cape Cod, or one of the smaller capes, you're guaranteed to enjoy a relaxing vacation in comfort. We have several beautiful homes in the Cape Ann area of Massachusetts. Named for Queen Anne in 1623, Cape Anne is home to small fishing villages and artist enclaves. Take a beach vacation in Cape Ann and enjoy sunlit beaches and fresh seafood in historic Gloucester and Rockport Massachusetts. Gloucester, Massachusetts is a charming fishing village which you and your family are sure to enjoy. With a local reputation as an artist community, this scenic oceanfront community has many lovely places to walk through and explore. Visit Gloucester and experience firsthand the green parks and wild estuaries, full of wildlife, that inspired artists like Winslow Homer and John Sloan. Take a museum tour and learn about the history and culture of this vibrant fishing community, and relax on the shore of a sandy beach near your Massachusetts beach house. Visitors to Gloucester, Massachusetts are sure to enjoy destinations like Hammond Castle and the Sleeper: McCann house. 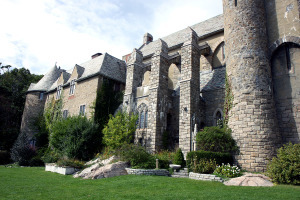 Constructed by John Hays Hammond, Jr, the inventor of the remote control, Hammond Castle is a one-of-a-kind collection of medieval history and culture. Step into the past at this unique historical collection. Explore the Garden Room, built from the facades of a french medieval village, and the library, which is built in a historical style. Keep an eye out for hidden passages behind suits of armor! This New England castle contains as many secrets as works of art! Another historical pleasure home near Gloucester, Massachusetts is the Sleeper: McCann house. Once the summer home of a famous home designer named Henry Davis Sleeper, each room in the Sleeper:McCann house has a unique theme inspired by a historical or literary figure, color, shape or object. Explore the beautiful gardens and one-of-a-kind spaces of the Sleeper:McCann house, and learn about the man's style and inspiration. Perched on a rock ledge looking over Gloucester Harbor, the Sleeper:McCann house is a beautiful dream home steeped in the heritage of Cape Ann. Rockport, Massachusetts is a scenic fishing village on the coast of Cape Ann. Explore the sparkling waters of Rockport by kayak or scuba, go whale watching or hike through the sylvan headlands of Halibut Point. Get away from the sounds of traffic, and listen to the waves crash on pebble beaches at the bluffs of Cape Ann. Walk through Bearskin Neck, a shopping district by the Rockport Marina, and spend an afternoon picking out souvenirs and breathing the sea air. Trek out to Halibut Point State Park, a nature preserve near Rockport, Massachusetts. At Halibut Point you can hike along picturesque walking trails perched dramatically on ocean bluffs with great views of the coast. 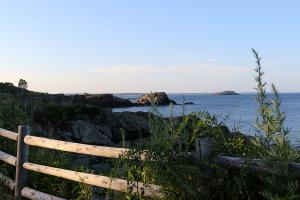 Rockport is a great destination for fresh and and relaxation in Cape Ann, Massachusetts. The Capes of Massachusetts are where you'll find many beautiful oceanfront homes, as well as sandy beaches and placid waterways. Explore the historic fishing villages of Gloucester and Rockport in scenic Cape Ann. Get inspired by the scenic beauty of the capes as you relax at your beach home, and experience the sparkling waters of the cape on a charter boat or kayak. Go stargazing and escape from city noise with a Massachusetts vacation rental.